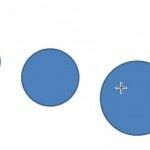 Ansoff Product-Market Matrix is a matrix widely used as a business tool that helps businesses decide their product and market growth strategy. Ansoff’s product/market growth matrix suggests that a business’ attempts to grow depend on whether it markets new or existing products in new or existing markets. 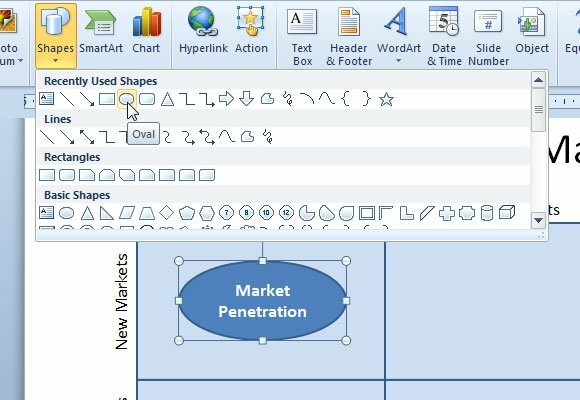 In PowerPoint we can design an Ansoff Matrix using shapes. 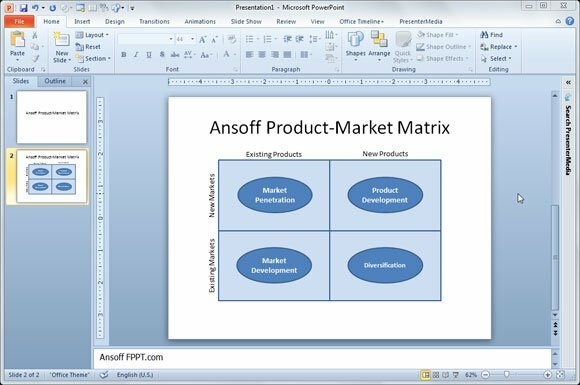 We will see below how to make a simple Ansoff Matrix in PowerPoint 2010, and later you will be able to download a free Ansoff PowerPoint template. First, we start inserting a new rectangular shape. We can duplicate this shape three more times to design the matrix. Also, you can add textbox labels for Existing Products, New Products, Existing Market and New Markets. Now, we will add the labels inside each matrix quadrant in PowerPoint. 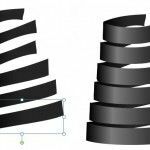 As you can see below, we have used an oval shape for this purpose, but you can do it with other shape. 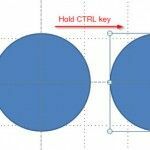 Duplicate the oval shape several times and then edit the text inside the shape (right click over the oval shape to edit text) to add the four matrix outputs. Finally we get an Ansoff Matrix like in the slide below. We can then group this matrix to make a grouped shape or just change the style and colors. Market development. Market development is the name given to a growth strategy where the business seeks to sell its existing products into new markets. Product development. Product development is the name given to a growth strategy where a business aims to introduce new products into existing markets. This strategy may require the development of new competencies and requires the business to develop modified products which can appeal to existing markets. Diversification. Diversification is the name given to the growth strategy where a business markets new products in new markets. This is an inherently more risk strategy because the business is moving into markets in which it has little or no experience. 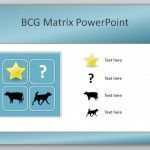 If you need to download business matrix for PowerPoint presentations like Ansoff Matrix or other Product or Market matrix, you can download free PowerPoint templates for business presentations.